Trump's election as the president of the US has led to one positive benefit. An increase in people who want to migrate to Canada. If Donald Trump succeeds in getting to the Oval office, this scenario could benefit Canada in terms of immigration and tourism in particular. Mr. Trump’s well-documented stance on immigration to the United States has ensured that even investors are beginning to look at Canada as a more viable option if he becomes president. There have already been fluctuations in the global markets that have been related to the presidential candidate’s policies and opinions on immigration and trade, with Mr. Trump intending to seek a U.S exit from the North American Free Trade Agreement. On immigration, in particular, Canada’s advantage will be more pronounced than the U.S, who if elected, the presidential candidate plans to implement a policy of deporting all illegal immigrants and to build a long high wall on the American-Mexico border. A policy which has caused a huge uproar in the international community and Canada will likely take advantage of. 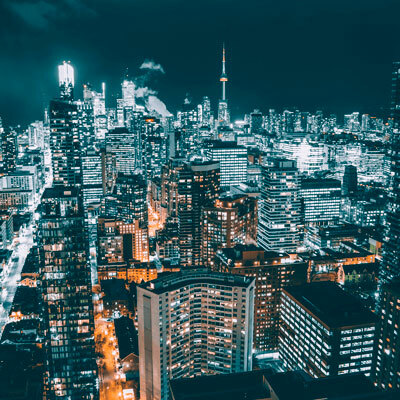 In the past, Canada was usually at the receiving end of brain drain, where many high performing individuals in professional services industries were being lured to the U.S in the promise of a higher pay. In the case that Trump wins the forthcoming presidential elections, Canada will be the country to benefit from brain gain from the US. Under Mr. Trump’s proposed immigration plan, Canada will be able to benefit from increased access to low-cost unskilled workers, but also from an increase in skilled immigrant labour as the US market is even at the best of times seen as less accommodating to immigrants as a whole. However, the biggest winner will be humanity as a whole as Canada will provide the best environment for growth and prosperity for immigrants and those from Mexico in particular. The Island of Cape Breton, in Nova Scotia Canada, has been particularly aggressive in its aim to take advantage to lure more migration to the region if Trump does become the next president of the United States. They have created a website that supports that notion that if Donald Trump wins, they will seek to urge and convince all Trump refugees to consider moving to the Eastern Canadian Island. It highlights the region's beautiful scenery, unique culture, and affordable real estate. Apart from building a wall over the U.S Mexico border, Mr. Trump intends to impose a temporary ban on all Muslims entering the U.S. Cape Breton, in Canada on the other hand, will provide peaceful and serene surroundings, and with its natural beauty and cultural diversity. Since the website was launched by the tourism department of Cape Breton in early February 2016, there have been more than 470,000 visitors that have searched it online, an increase of 4000 percent from the previous year. Under these proposals and plans from Donald Trump, the immigrations numbers between the U.S and Canada will widen even further. Even though there won’t necessarily be crowds of Americans moving to Canada, the immigrations community is encouraged to move to Canada, whether for a visit or seeking employment, the country has nevertheless proved to be the ideal destination. If you are planning to visit Canada, to study or seek job opportunities, we at CanadianVisa.org will help you through the visa application process as our registered consultants will give you all the professional help to make you dream of having a better life for you and your family a reality.